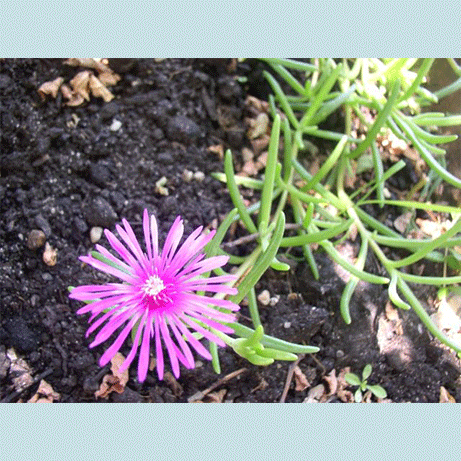 Delosperma Cooperii is an ornamental succulent whose fleshy leaves are ?carpeted? with blooms that are like delicate magenta asterisks. 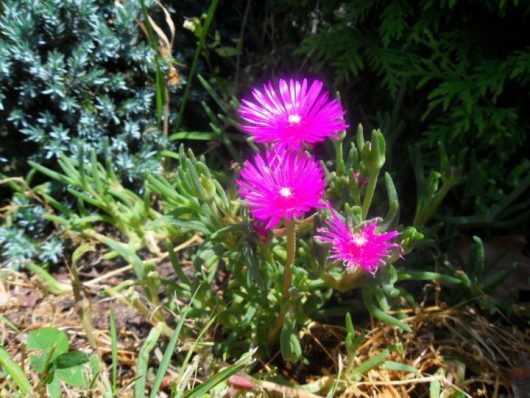 As one of the most notable members of the delosperma genus, the flowers of this perennial groundcover are not only eye-grabbing, but they last throughout the summer and early fall. 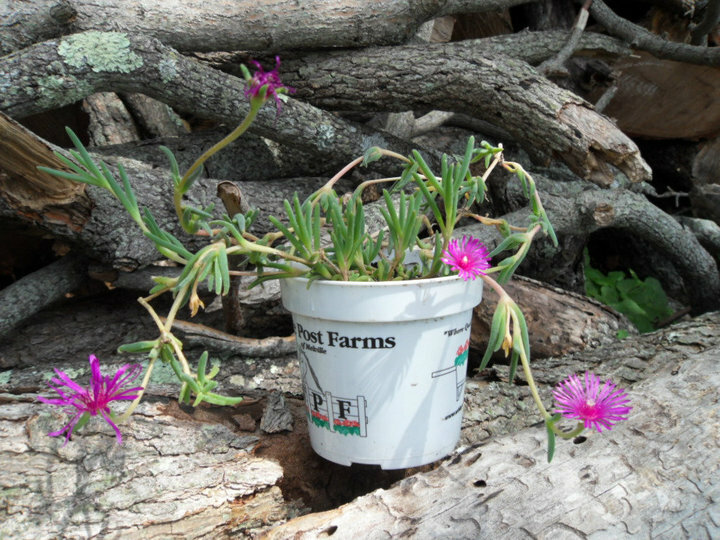 It is also one of the hardiest Ice Plants with reports of it being hardy to zone 5. 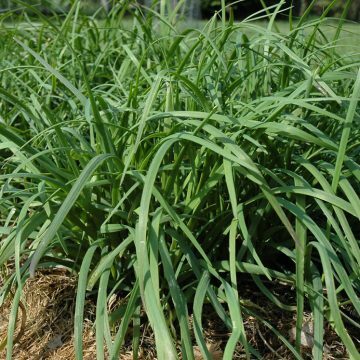 A native of South Africa (and reportedly eastern Africa), this horticultural gem requires full sun and well-draining soil. They are great candidates for rock gardens or to be draped over the ledges of rock walls. 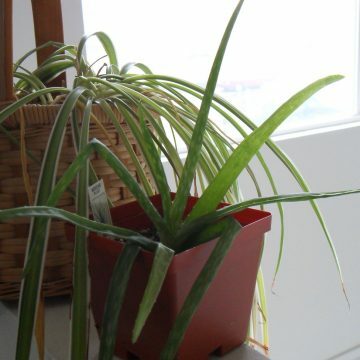 Propagation is easily achieved through cuttings and established plants require little attention. 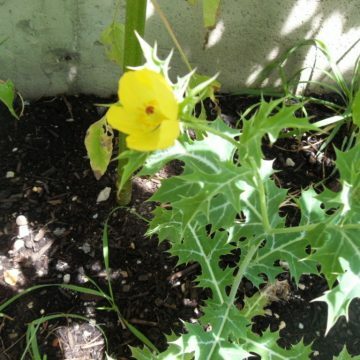 Some would even say that this plant has been blessed by elves. Growing Information: Seeds should be sown in a fine, sandy soil at 65-75 degrees. A commercial cactus potting mix with the larger debris strained out is ideal. Flatten out the soil and put a thin layer of loose soil above it. Sow the seeds on the surface. Mist the soil to keep it moist and cover with clear plastic. The soil should not be allowed to dry out while the plants are still seedlings. Use a mister if the soil does get dry. 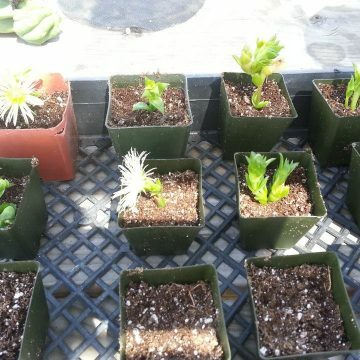 Place the seedlings in bright light. Placing the seedlings just a few inches from a fluorescent bulb is ideal, although natural light works too. Be sure to air out the seedlings once a day for best results. If germination procrastinates, refrigerate for 3-4 weeks and return to warmth.